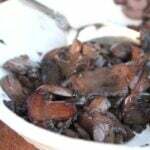 Sautéed mushrooms are probably my favorite side dish to serve with steak or most roasted hearty meats. 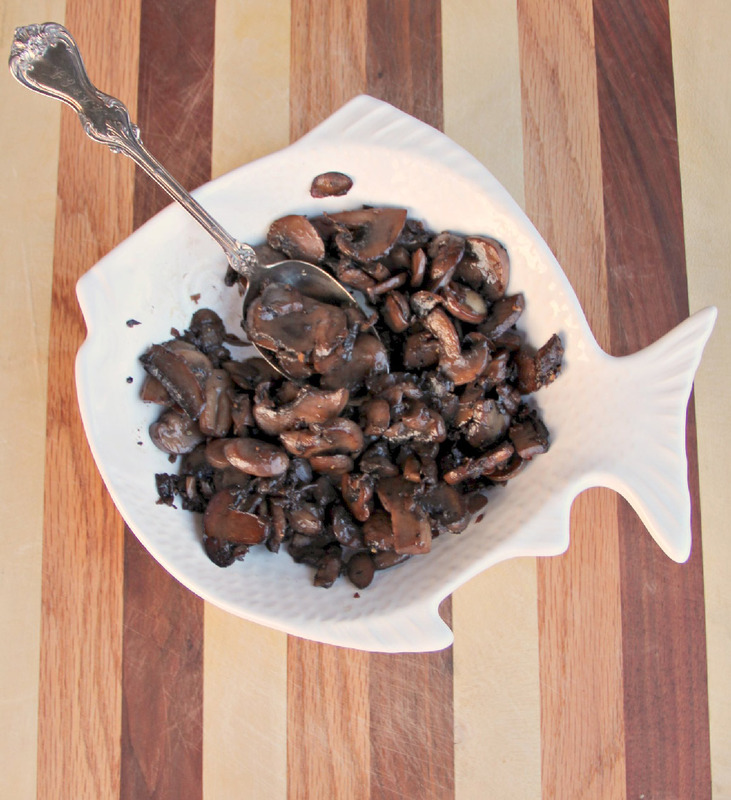 I love the earthy, meaty texture and flavor that you get from mushrooms after roasting or sautéing them. 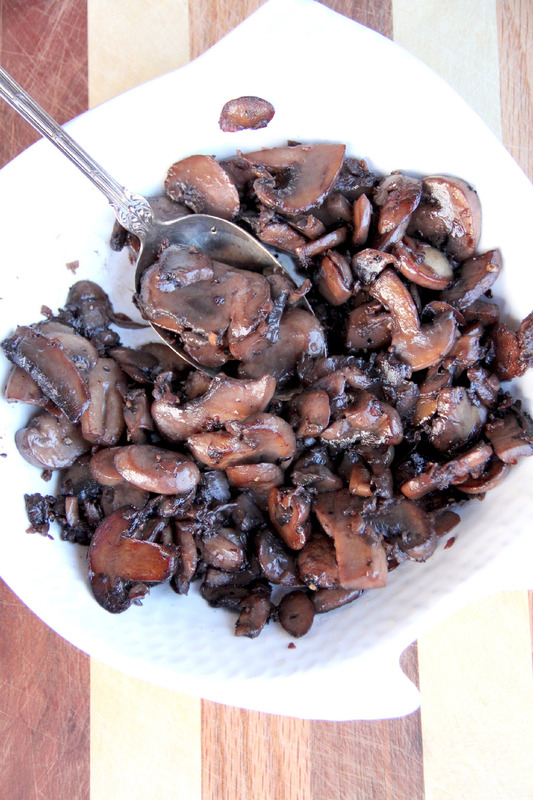 These sautéed mushrooms are so easy you can make them for a quick dinner, but the flavor is intense and satisfying. A little red wine, a chopped shallot, butter, and olive oil are all that’s needed to create this fragrant, delicious side dish to go with your next steak dinner. 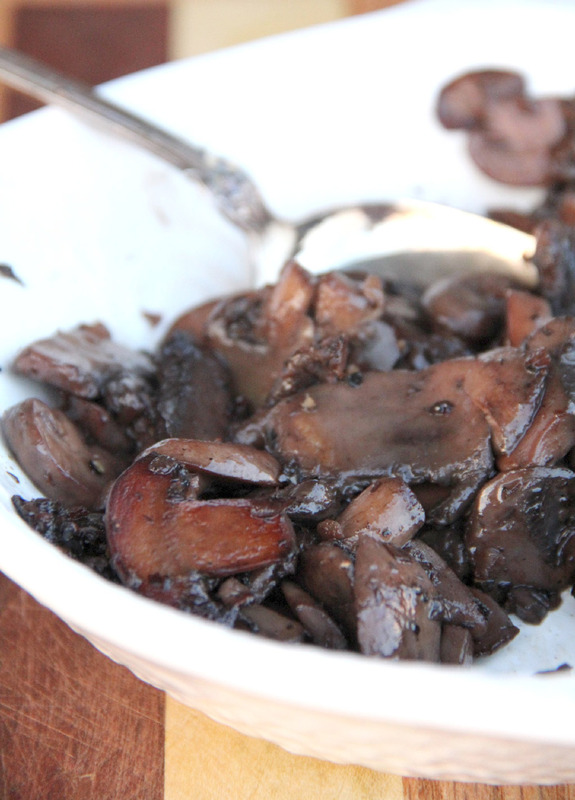 Red wine and shallot sautéed mushrooms are super easy to make even on a busy day and will go great with steak, pork, or chicken. Heat butter and olive oil in large skillet over medium-high heat. Add shallot and cook 2-3 minutes. Add mushrooms and stir. Add 1/2 teaspoon salt and freshly ground black pepper. Cook, stirring frequently, until the red wine is almost evaporated. Add remaining 1/2 cup of red wine. Cook stirring frequently, until the red wine is evaporated.